THERE ARE SOME THINGS the whole country knows about Denver: Our football team is the greatest, we have incredible access to the mountains, our airport is a major hub for travelers. Then there are the things you only understood after visiting The Mile High City. For starters? It really is one mile high in elevation. But there’s so much more to Denver than what the guidebooks describe. Whether it’s the building rules about not blocking the mountain view, the warmer-than-you-think temperatures, the best bands in the country gathering for outdoor concerts, or wine in a can — it only makes sense once you’ve checked it out for yourself. 1. Red Rocks isn’t just about music. It’s no secret that Red Rocks Park & Amphitheatre puts on some of the most kickass shows in the country. But it’s not just about epic light shows and performances by some of the most influential bands in the world — there’s plenty of hiking, activities, and music history here as well. 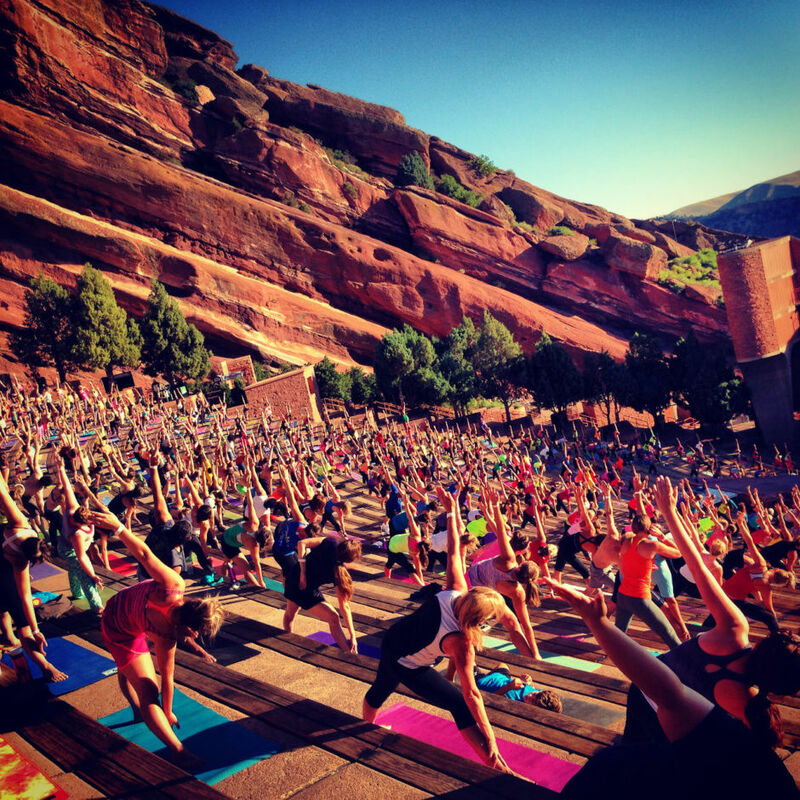 All summer long you’ll find events like Yoga on the Rocks, where thousands gather to find their zen in the open Colorado air. Downward dogging is so much better here that the events can sell out months in advance. As for hiking, the Trading Post Trail and Geologic Overlook Trail are two treks in the surrounding park that guide you through red rock formations, valleys, and meadows at 6,000 feet above sea level. The Red Rocks Trail, which connects to Matthews/Winters Park for a six-mile loop, is a good way to see the area from a bike saddle. Post-hike and bike ride, catch your breath at the Performers’ Hall of Fame in the Visitor Center. It shows off all the artists who’ve performed at the Amphitheatre since 1906, including the Grateful Dead, Jimi Hendrix, U2, John Denver, Radiohead, and the Beatles. Basically anybody who’s anybody has performed here. 2. Everything is better outdoors. Without fail, Denver rocks 300 days of sunshine a year. Whether it’s kayaking in Confluence Park, checking out lions and wolves roaming free at the 720-acre Wild Animal Sanctuary, or smelling the flowers after an outdoor yoga session at Denver Botanic Gardens, there’s absolutely no reason to stay indoors when the weather is begging you to get outside. After a day of outdoor activities, grab a bite to eat and a cocktail at one of Denver’s many patios and rooftop bars, like Avanti F & B — if only every day could end wandering their food-truck-inspired hall and sitting down al fresco to sushi and arepas. Afterwards, find a free movie being screened outside at one of the various parks during the summer, such as Civic Center Park, Skyline Park, Infinity Park, or Founders Green. BYO blanket and watch the sun set below clear skies before the show starts. Straight up, finding parking before a game is no fun. But with the city’s main stadiums within walking distance, that stress is relieved — and replaced with a cold drink — as you catch a Colorado Rockies game at Coors Field, celebrate a Denver Broncos win at the Sports Authority Field at Mile High, or cheer for the Denver Nuggets or Colorado Avalanche at Pepsi Center. But don’t walk home just yet — make sure to catch the pre- and post-game activities in surrounding LoDo for literally every event. The neighborhood is full of restored warehouses, restaurants, galleries, and bars, so there’s always something going on. 4. …and having a car here is unnecessary. Getting around Denver is easy. For only $9, pick up a regional day pass and hop on the train from Denver International Airport. It’s a smooth glide to the heart of downtown, but it’s also a trip back in time. You’ll arrive at Denver Union Station, an opulent and fully restored 1914 Beaux-Arts train station, home to swanky bars, restaurants, and a boutique hotel. 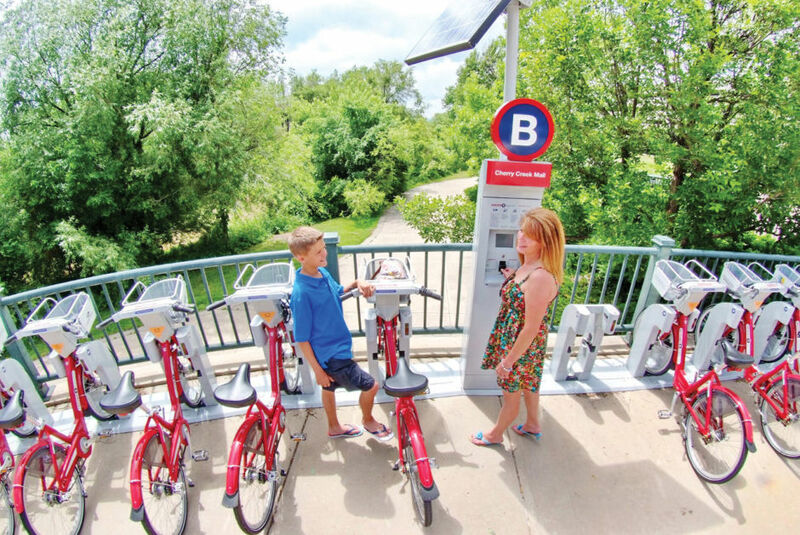 You can also walk to your heart’s content around the city or get your heart pumping by renting a bicycle from Denver B-cycle — there are 88 stations throughout the city. Or take the free 16th Street MallRide, which runs up and down the mile-long pedestrian promenade. Take your pick of outdoor cafes and shopping opportunities, and when you’re ready to head out in the evening, horse-drawn carriages and pedicabs are ready to serve. 5. Big cities can still have big views. Since state law prohibits buildings from blocking the view from the Colorado State Capitol, you don’t have to go far to see the mountains near Denver, which includes a 150-mile mountain panorama with 200 visible peaks — and that’s just counting the ones with names. If one city were to win the “gateway to nature” prize, it’d have to be this one. There’s no shortage of Insta-worthy views within the city itself, either, whether it’s the Ferris wheel at Elitch Gardens Theme & Water Park lit up against the purple and blue skyline, the commissioned murals bringing the walls of the city to life, Denver Botanic Gardens turning the city green, or the views from the atrium in the Denver Museum of Nature & Science. Seriously — there’s a fantastic photo waiting everywhere you look. All you have to do is keep an eye out. 6. The whole city is filled with creative people and places. 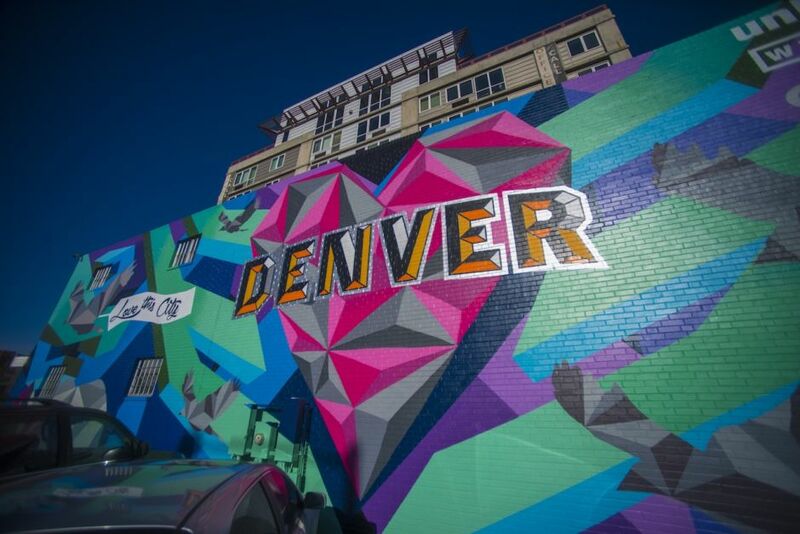 Between the Art District on Santa Fe, Tennyson Street, and RiNo (River North Art District), there’s plenty of artistic vibes radiating from Denver’s creative community. And it’s not only for the benefit of the artists themselves — in these districts, there are free art walks that include food trucks, crafts, live music, and dancing every First Friday of the month, 6-9pm. Denver makes sure art is as accessible as possible. To everyone. Not to mention the slew of local artists that keep the city colorful. Life has sprung up on the walls of Denver with art from Jeremy C. Burns, Jonathan Lamb, Pat Milbery, Michael Ortiz, and organizations like Moon Magnet. That last one has two studios, tons of equipment for budding artists, and free first consultations about the nitty-gritty business side of things. Where else would that exist but right here? 7. We’re way more than just beer. With a brewery on basically every street corner, Denver is one of the most convenient places in the country to grab a craft beer. But it’s not only ales and lagers that keep the city quenched — we also have some of the best distilleries in the state. Between Stranahan’s (Colorado’s first whiskey) and Law’s Whiskey (the state’s newest distillery), you can find anything from traditional tastes of malt and rye to fruity blackberry shots made right here under the Rocky Mountain sky. Cideries have seen a recent boom, too. Colorado Cider Company is the Denver original, and their ciders are especially complex — many are aged in rum and wine barrels. Stem Ciders is another favorite, and you don’t know cider until you’ve paired one of theirs with a nice, spicy curry. Then there’s our wine. But if you’re thinking Denver folks conform to the traditional wine glass, you can go on and guess that you’re wrong. The Infinite Monkey Theorem Winery created the tagline “back alley winemaking at its finest,” which translates to “we put our wine in cans.” Don’t freak out just yet, wine snobs — Infinite Monkey sources much of their fruit from the Western Slope of Colorado, and their wine is some of the best in the city. So, yes, you can put down your pinky finger now — premium wine does come in cans. 8. The music scene here is one of the best in the country. Bands like The Lumineers, Tennis, DeVotchKa, Flobots, and Nathaniel Rateliff and The Night Sweats got their start in Denver. Then there are the up-and-comers — Denver has a booming scene of local musicians like DJ Cavem Moetavation, an “eco hip hop artist,” at smaller venues in neighborhoods including South Broadway, LoDo, RiNo, and East Colfax. There’s some type of live music being performed every night of the week, and we’re not talking just Red Rocks. Sometimes it’s honky tonk and country at the traditional Western bar Grizzly Rose; rock, soul, and bluegrass at Ophelia’s Electric Soapbox; or smooth jazz at Nocturne and The Crimson Room. Pro tip: Bring a blanket and picnic to the new Levitt Pavilion amphitheater, which hosts a free outdoor concert series in the summer. 9. There are festivals nearly every summer weekend. Denver Day of Rock is a free one-day music festival raising funds to support the community’s nonprofits. It’s five stages with a constant rotation of up-and-coming bands — catch it over Memorial Day weekend, on May 27 this year. 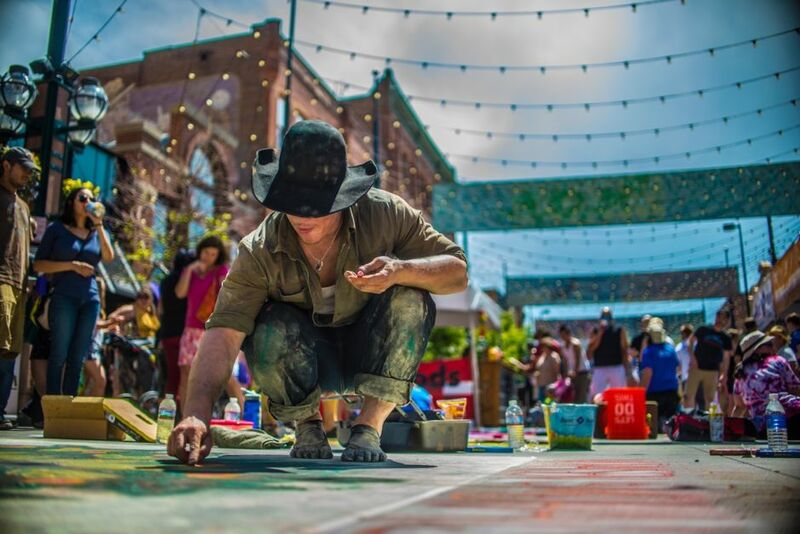 Denver Chalk Art Festival brings together more than 200 artists, all splashing color on the sidewalks of Larimer Square. It takes place June 3-4. Denver PrideFest, where you can support the LGBT community with a giant party, takes place June 17-18 and includes the famous Dogs in Drag Parade. Cherry Creek Arts Festival is a three-day event celebrating all the arts: visual, performing, and even the art of food. Hundreds of thousands make this event the highlight of their Fourth of July weekend, July 1-3. UMS, or Underground Music Showcase, takes over Denver July 27-30. If you can only go to one indie festival this year, make it this one. Colorado Dragon Boat Festival, held July 29-30 in Sloan’s Lake Park, centers around a boat race, but also features an Asian marketplace, the Taste of Asia Food Courts, dancing, spoken-word poets, and artists. Colorado Classic & Velorama, a bike race and music festival held August 11-13, is likely bigger than you think. It’ll feature big names like Wilco and Death Cab for Cutie to serenade all those cyclists. 10. Our food scene rivals our music scene. 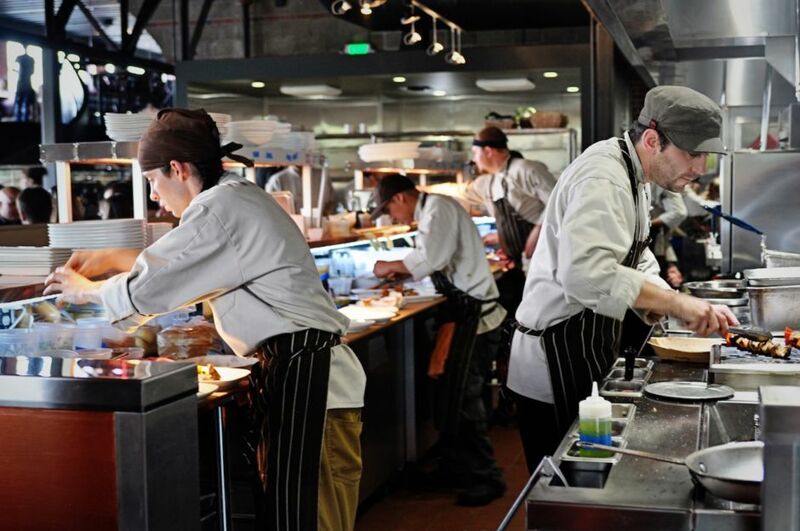 Zagat recently called Denver the #3 hottest food city in America, and the accolade is certainly justified. Fact is, Denver has some of the best grub anywhere — largely because the city can attract the best of the best. Creative chefs like James Beard semifinalist Frank Bonanno, who owns a whole line of restaurants in Denver including Luca, Bones, and Russell’s Smokehouse, are proof of that. For some of the most memorable food you’ll have on any vacation, head to one of Justin Cucci’s restaurants, such as Root Down, Linger, or El Five. Or check out flavors crafted by Jennifer Jasinski at Rioja, Euclid Hall Bar + Kitchen, or Stoic & Genuine — she was named Best Chef Southwest 2013 by the James Beard Foundation. And if you’re around in July, head to the first annual Slow Food Nations festival. 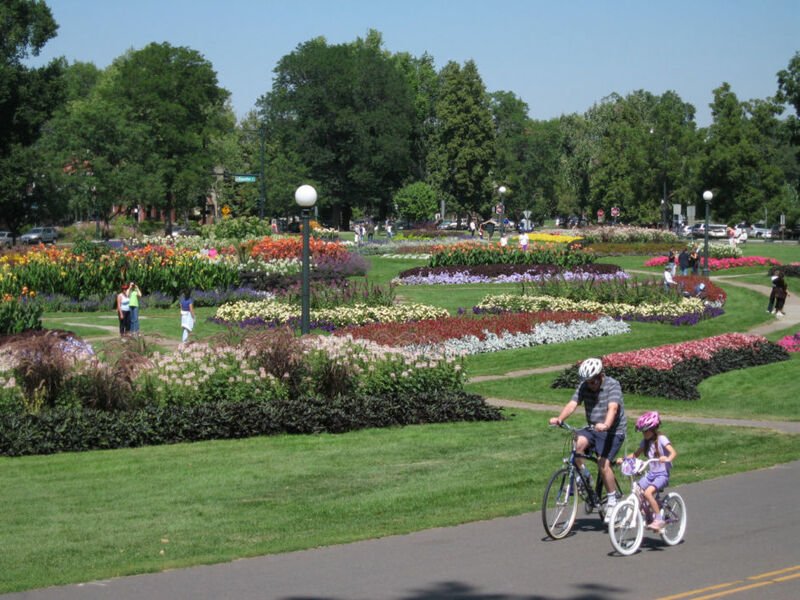 It celebrates what Denver does best: block parties, live music, and good, clean, fair food. 11. It’s only cold here if you want it to be. While the mountains make up Denver’s famed backdrop, the city itself sits on the edge of the state’s warmer plains, 12 miles east of the foothills. So while your buddy may be skiing an hour away on a mountain blanketed with fresh snow from the night before, you might be taking a stroll around Sloan’s Lake in 75-degree sunshine. Unless you’re craving some winter, of course — in which case, join your friend and head to the mountains. It won’t take you long. Either way, the Patagonia-sporting locals who don’t let cooler temperatures at elevation disrupt their 30-mile-long bike rides should be enough to convince you to at least go for a walk around the block to grab a Colorado brew. See? You do like the cold. You just prefer it to be handheld. 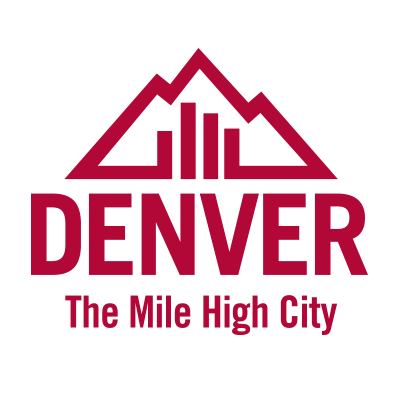 This post is proudly produced in partnership with VISIT DENVER.